In appreciation of your military service, Acura proudly presents the Acura Military Appreciation Offer. This Offer is available to eligible customers toward any 2019 or newer model year Acura when you finance or lease through Acura Financial Services® (AFS). This offer applies to U.S. Military active-duty and reserve personnel and their spouses. U.S. Military Retirees are also eligible regardless of their date of separation from active service. Spouses of U.S. Military Retirees are eligible within 180 days of their spouses’ separation from active service. This offer also applies to U.S. Military veterans and their spouses within 180 days of separation from active service. The Military Appreciation Offer can be used toward the purchase or lease of any 2019 or newer model year Acura using a valid Acura APR, Luxury Lease™, or Leadership Purchase Plan® program through AFS (excludes Zero Due at Signing Lease program). Vehicles must be new, unregistered and not previously reported sold. To be eligible for this offer, you must meet certain credit criteria established by AFS, and the vehicle must be eligible for new vehicle rates. 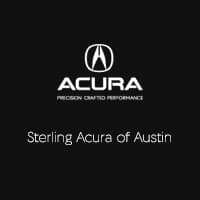 This offer can be combined with all other Acura Financial Services programs, except the Zero Due at Signing Lease program.